A correct understanding of reality can lead to thoughts, feelings and actions that result in a healthier, happier, more prosperous life. The study of Metaphysics - the principles and universal laws that underlie everything we experience as physical reality - is the predecessor to success in all areas of your life; physical, mental, emotional and spiritual. 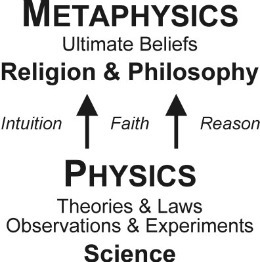 How can you study metaphysics? To know the nature of reality requires first hand experience. The meaning of "to know" is "to go through". You might read about metaphysics in books, listen to lectures, and watch videos. But until you experience the laws, principles and their effects first hand, what you might call "knowledge" is actually a belief. You hear about a scientific study, read a book on philosophy, and believe that what others conclude is true. Learning about metaphysics from other people is a great way to get inspired and motivated to conduct your own research and experiments. For example, in my lessons and videos I might say that physical reality is made up of thoughtforms (images) given substance by feeling (energy) in your mind (the space time that holds all thoughts, feelings, images and ideas). But how can you test this for yourself? Some of the most effective and time tested ways to begin experiencing the laws of metaphysics are meditation and spiritual practices. But if you are not into that, there are as many ways to learn as there are people to study. In the last few hundred years, the scientific method has become the most applied and trusted method of exploring physical reality. 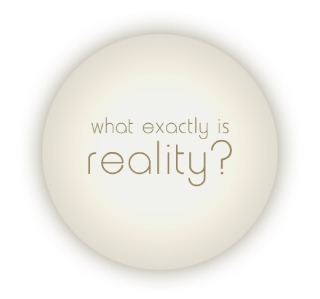 In recent years, quantum science and spiritual science have attempted to understand and explain how the nonphysical aspects of reality function. If you are not a scientist, you might have to rely on researchers to get your information. If the results obtained by scientific research seem to confirm your personal knowledge and experience then it can add to your understanding and ability to apply metaphysical principles to your real life. If you are an artist, musician, writer, or involved in any creative process, these activities can be a window into the nature of reality and the study of metaphysics. The ability to create requires a conscious connection to our inner source of creativity. This inner source is what many people call God. But even if you are not religious, or are an atheist, a direct connection to the process of creativity can lead to a very powerful and personal understanding of the creative laws of the universe. Engaging in sports and spending time in nature are another way of attaining a meditative state of mind, allowing you to access deep inner knowing and inspired insights. 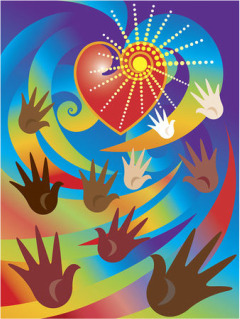 Any type of physical activity that allows you to get out of your head and into your heart can facilitate this process. Which brings me to my favorite way of studying the nature of reality and putting metaphysics to work in my own life. 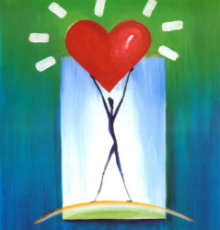 Years ago I discovered something that I call "creating a Mind with Heart". The Institute of Heartmath calls this "Heart Intelligence". It is simply a way of creating what Heartmath calls "heart coherence", allowing the intelligence available to us through the gateway of the Heart (the zero point in the Heart) to reach our body and our brain. When the Heart and the Mind are connected, we have better control over our thoughts and emotions. That can lead to more effective actions and results. But it also allows us to gain insight and inspiration - new ideas and images that seem to come out of nowhere and give meaningful direction to our lives. In my own life, creating a Mind with Heart and accessing Heart Intelligence has given me the ability to "know" - experience first hand, or "go through" - what the metaphysical laws and principles underlying our physical reality are, and how to apply them in meaningful ways to my everyday life. I share those insights and ideas on this website, on Youtube, and in my blogs. But what I want to share with you the most is your ability to have these experiences for yourself - to "know" them firsthand. If you would like to give creating a Mind with Heart a try for yourself you can get started for free. Click here to learn how to join the Foundation for Creating A Mind With Heart (it's free) and get a free ebook to help you get started. 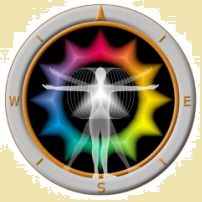 The ebook, "Your Heartcompass Owner's Manual", includes everything you need to use the Life Navigation System for Creating A Mind With Heart. I have been studying and teaching metaphysics for almost twenty years using these techniques. Find out how you can experience the nature of reality and the metaphysical laws and principles creating your life here. 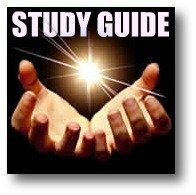 Return to the HOME page and get your free Metaphysics for Life Study Guide.